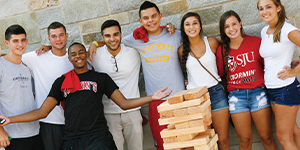 St. John's University -- Staten Island Campus, founded in 1971, is a private, four-year Roman Catholic University. Its 16.5-acre campus is located in Staten Island, New York. 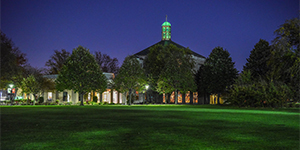 17-acre campus located in the Grymes Hill section of Staten Island (New York City population: 8,622,698). School operates transportation to Queens campus, points of interest on Staten Island, and the Staten Island Ferry. Main Campus is in Queens, NY with a branch campuses in Manhattan and Rome, Italy, with an Academic Center in Hauppauge, NY and Study Abroad Sites in Paris, France and Limerick, Ireland.